When looking for somewhere new to live, you can run into many speed bumps. One rental property might be more money than you want to spend on rent, another might not accept pets, another property might accept pets, but not one of your size. The list goes on. Because there are many roadblocks you could encounter in your search for an apartment or home for rent, it’s important to give yourself every fighting chance to get approved for a property. 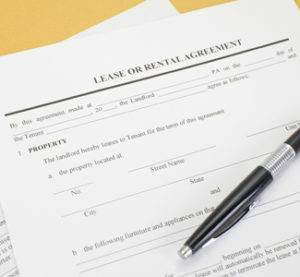 Make sure you’re prepared for what your landlord or property manager is looking for in a tenant. Here’s what they’re looking for when they evaluate you. Rental History – This one is huge. This gives the landlord insight as to how you were as a tenant for your previous landlord. They’ll want to know how you treated the property, were you considerate and respectful of the neighbours and of course did you pay your rent on time. Credit – A credit check is a big part of the process. This helps to show whether you have a hard time paying your bills on time or not. Being honest with the property management company by telling them what might show up on your report, good or bad, is best as this builds trust. References – Your landlord and property manager will want to speak with your employment references to verify your salary as well as get a sense of who you are through the eyes of your employers. You may also be asked for personal references they may contact who can vouch for you as a responsible and dependable person. Background Check – Landlords and property managers may want to go as far as perform a criminal check before approving your move into their investment property. Being a good tenant means treating the property with respect, being a good neighbor, paying rent on time, and cooperating with necessary guidelines. Be sure to be courteous to your neighbors and landlord, and make sure to be on time with your payments. Not doing so can result in difficulty in finding a home for rent in the future. For more information on this, contact your local property management company in Toronto today.